"Pearl" the appearance of a pearl | JUB d.o.o. The PEARL technique allows us to achieve the appearance of an evenly arranged surface by means of fine glitters which shine through and thus create a shading pearly appearance on the surface. The technique has obtained its name considering the pearly final appearance. 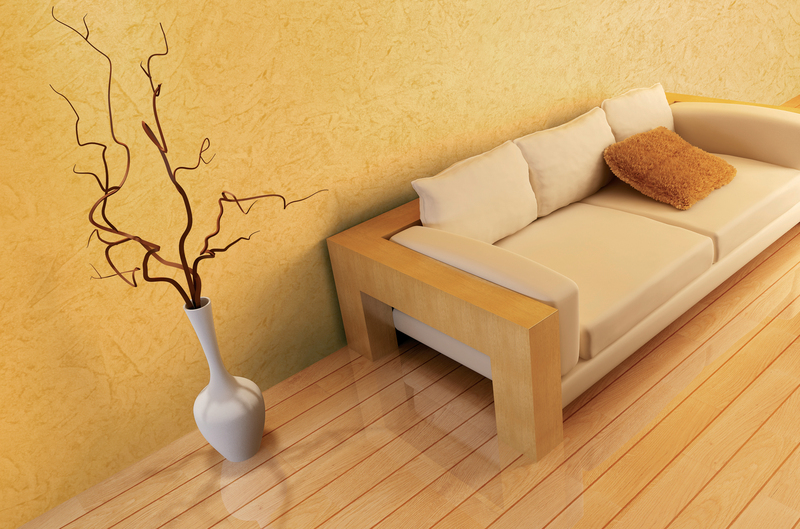 Surface should be dry, solid, without any oil stains and similar impurities. JUPOL Brilliant may be applied white or, if desired, in a colour combination of this paint undercoat and of Artcolor (more demanding). Artcolor is applied by the first worker and the size of the processed surface is 0.5 m. Coat thickness is ~0.2- 0.5 mm. Artcolor must not dry up until the second worker forms the pattern structure. The second worker forms a pattern structure with a decorative roller making vertical strokes, then strokes in the direction of one diagonal and, finally, in the direction of the opposite diagonal. If the decorative roller is filled with Artcolor, simply wipe it.